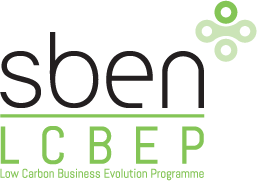 Staffordshire Business Environmental Network (SBEN) has launched the ‘Low Carbon Business Evolution Programme’ (LCBEP) which is designed to help businesses across Stoke on Trent and Staffordshire reduce their carbon footprint and increase energy efficiency. The project is part funded by the ERDF programme and delivered by Staffordshire County Council in partnership with Keel University and Staffordshire University. Following a successful tendering process, ESP has begun to deliver a series of ‘2-day business assists’ to SMEs across the region to address Energy & Environmental performance as well as performing Gap Analyses for ISO 14001:2015. Eligible businesses have the opportunity to apply for LCBEP Low Carbon Enterprise Grant of £2000-£10000. For more information and eligibility criteria visit the SBEN LCBEP page.